Established in 2003, we have been providing a meeting place for like-minded married and attached people for over 10 years. Our members have one thing in common - they are all looking for a little romance outside their current relationship. Whether that's the occasional bit of flirtatious chat, a regular coffee date, or a full-blown affair, that's up to them. IllicitEncounters.com specialises itself in creating a non-judgemental, no-pressure environment for our members. Unlike other sites, our sign-up ratio of female to male members is around 45:55 - which means no one is going to be outnumbered or bombarded by messages. We take the safety and anonymity of our members very seriously, which is why we offer special features, such as password protection on photographs, to protect their identities. 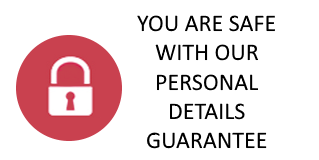 We will also never share any of your personal data or contact information with other dating sites - when you sign up to IllicitEncounters.com, that's all you're signing up to! With over 1,000,000 members across the UK, you're sure to find your perfect match - or matches! To find out what our members think of us, visit our User Stories page.